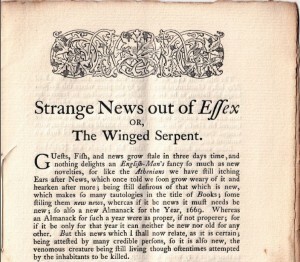 A small, pamphlet-sized booklet entitled “Strange News out of Essex or The Winged Serpent” was originally printed about the year 1669. It recounts the attack of a winged, snake-like creature near Essex in England. 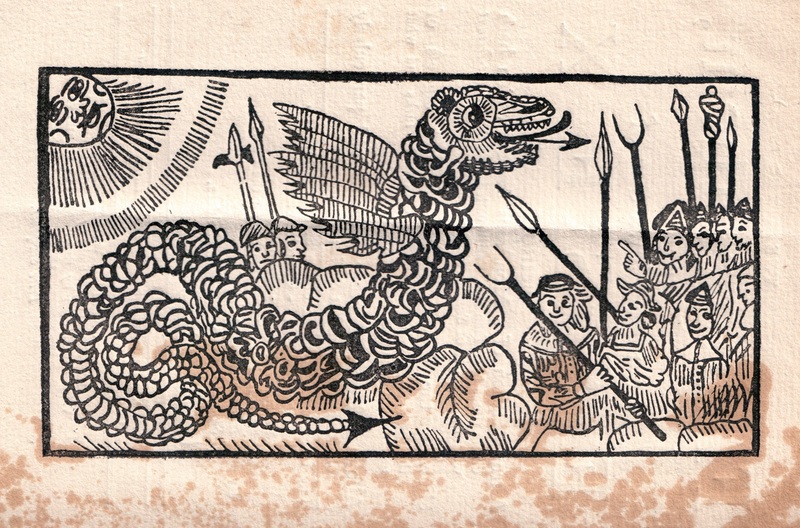 The 1885 reprint of this booklet (pictured to the right) contains an Introduction which also mentions a couple of other dragon encounters that were experienced during that same time frame. It seems that numerous respected townspeople claimed to have seen the monstrous serpent which lived on a particular remote hilltop glen. The reptile reportedly was several feet long and contained a mouth full of sharp teeth. It was said to sport undersized wings for its huge body…totally incapable of carrying it aloft. 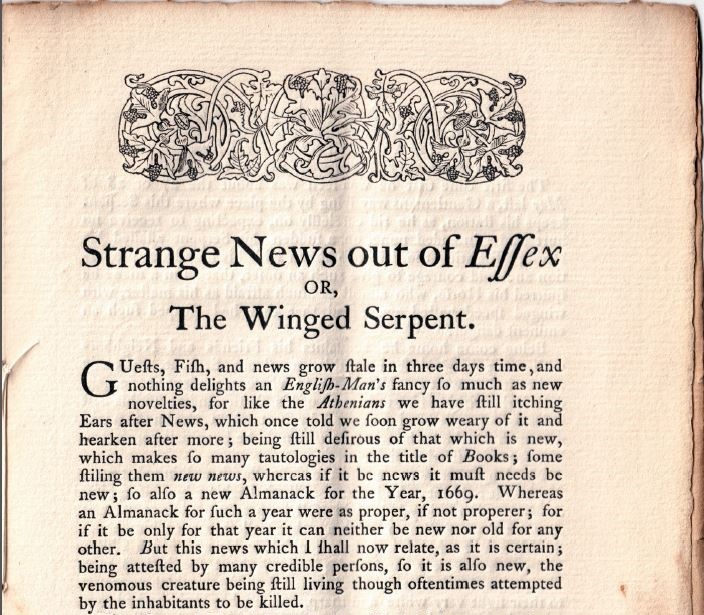 It is not unusual for the ancient reports of flying serpents to include very small wings. If they did encounter long-tailed pterosaur, this detail could be accounted for by seeing the pterosaur walking on all fours with only the tip of the wings erect. The town reported no loss of livestock or harm to anyone from the beast. A couple of attempts were made by armed groups to track it down and kill it, but it wasn’t found at that time. 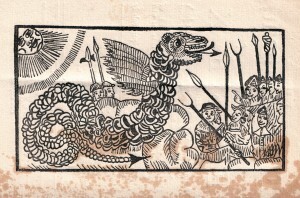 The booklet ends by referencing various serpents, some real and some mythical, including serpents with bat-like wings.